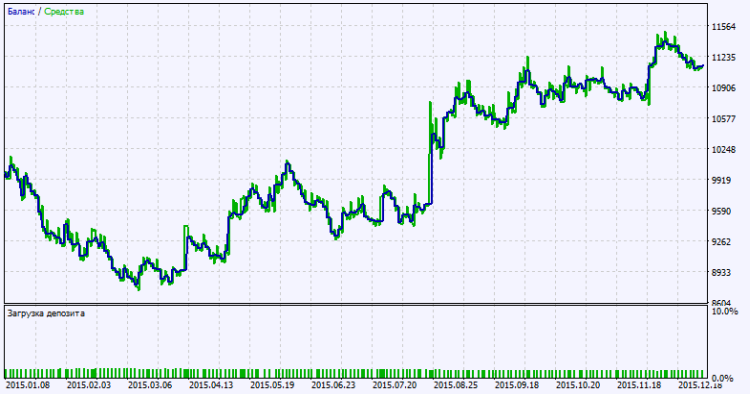 Different magic numbers are used for these trading systems, so they are two independent systems. Real financial markets are rarely symmetric. Different parameters of the same trading systems are often needed for trading in the rising and falling market. To properly configure the EA, you should first test only one trading system and disable the second one. After that perform the same for the second system. 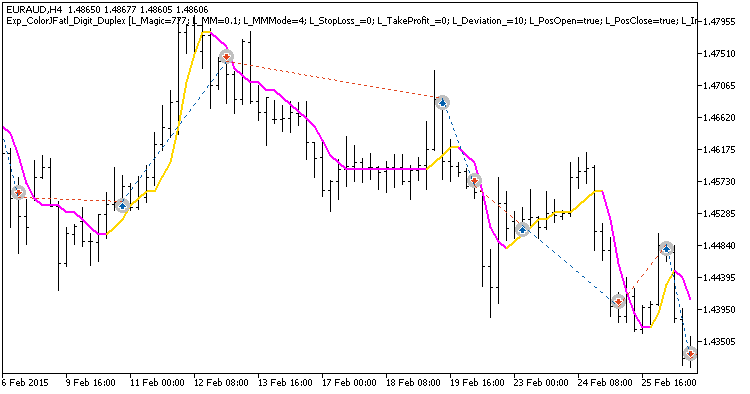 For a correct operation of the Expert Advisor, you should add the ColorJFatl_Digit.ex5 compiled indicator file to <terminal_data_folder>\MQL5\Indicators. Default input parameters of the Expert Advisor were used during the tests shown below. Stop Loss and Take Profit were not used during testing. Fig.1. Examples of deals on the chart with symmetrical settings. Fig. 2. Testing results chart. Fig.2. Examples of deals on the chart with non-symmetrical settings.